This easel card showcases some of the precious images of Theodore and Bella. The collection works great for both adult and children cards and projects. 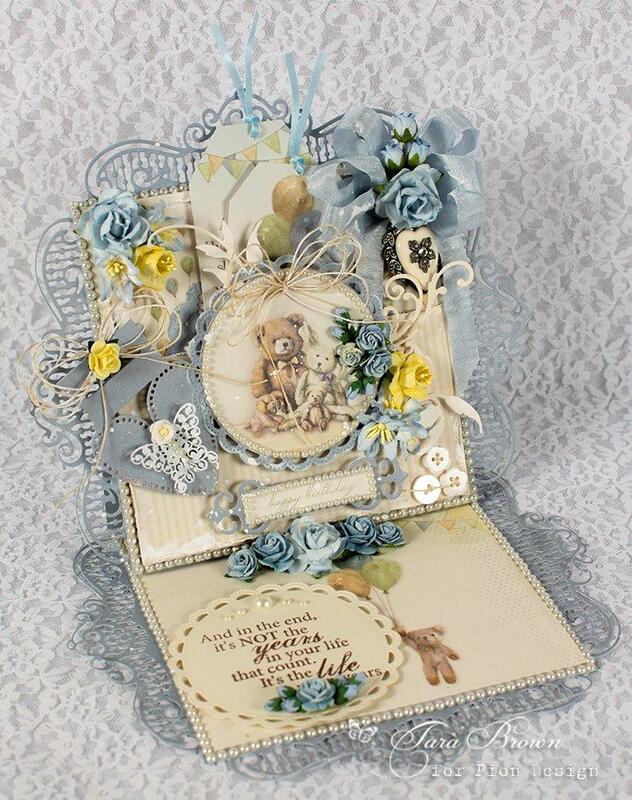 Gorgeous Card !Beautiful details and colors ! Wonderful Tara, what diecut did you use?